Your opinion matters. Leave your review of Carthage Crisis Center. For immediate needs and assistance, please call (417) 358-3533. Intake hours are usually 9 AM - 5 PM. 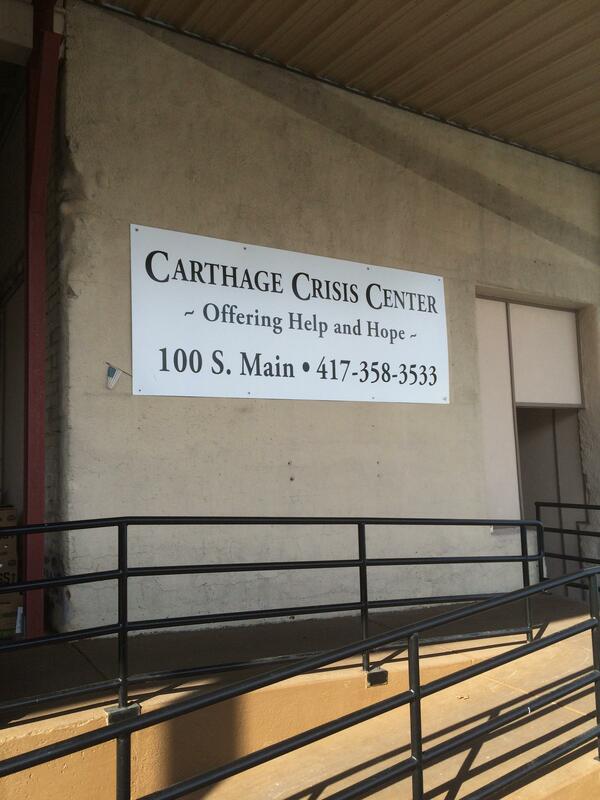 The Carthage Crisis Center is not your ordinary homeless mission. Although we provide temporary emergency housing, we have a more long-term approach to the problem of homelessness. Our mission is to restore homeless and needy people to self-sufficiency with God’s help. To that end, all of our residents are involved in opportunities for Spiritual growth. We all share in a weekly Saturday evening Bible Study at the center. On Sundays, all of our residents attend local congregations where they find friendly Biblical communities that help to build them up spiritually, and on Monday evenings, all of our residents attend a local Celebrate Recovery meeting at the First Nazarene Church. Throughout each week our residents have opportunities to counsel with the staff to learn life skills and how to apply Biblical principles to their daily lives. Do you have items to donate? Contact Carthage Crisis Center at the phone number provided above to see if they can use any items you may have to donate.